Madrid is the sophisticated capital city of Spain. Appropriately situated in the middle of the country, it is very much the centre of excitement and activity. Known as an art capital in Europe, Madrid boasts an extensive selection of art galleries. It is also renowned for its beautiful Gothic architecture, some dating back to the early 16th century. Cheap flights to Madrid are now available for a limited period of time, so prepare to be charmed by this beautiful city! Madrid is home to Madrid-Barajas Airport (MAD), which is located 25 minutes from Madrid by car. 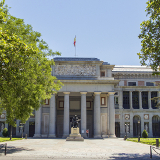 A haven for art lovers, Madrid possesses many historic and modern art galleries. Its three most famous galleries are collectively known as the “Golden Triangle of Art”. With one restaurant for every 192 residents, Madrid spoils visitors with an endless selection of traditional cuisine. 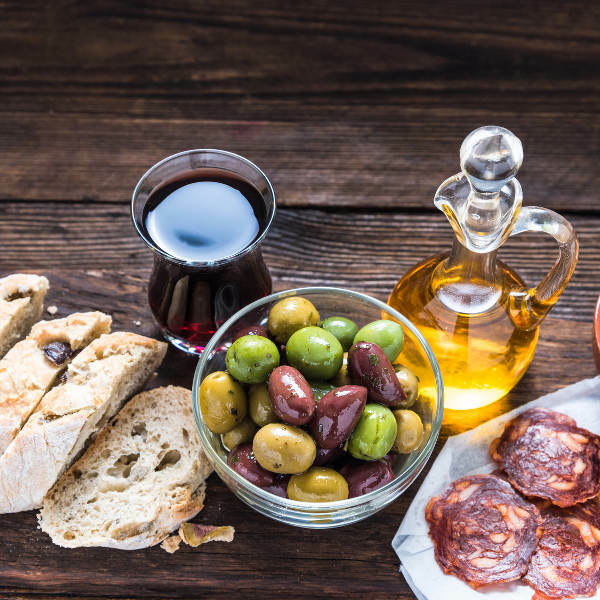 Indulge in Spanish tapas and sample some of the finest Spanish wine. Despite being a modern city, Madrid has managed to preserve much of its pre-20th century architecture. Numerous landmarks of the city possess neo-Gothic architecture, some over 500 years old! 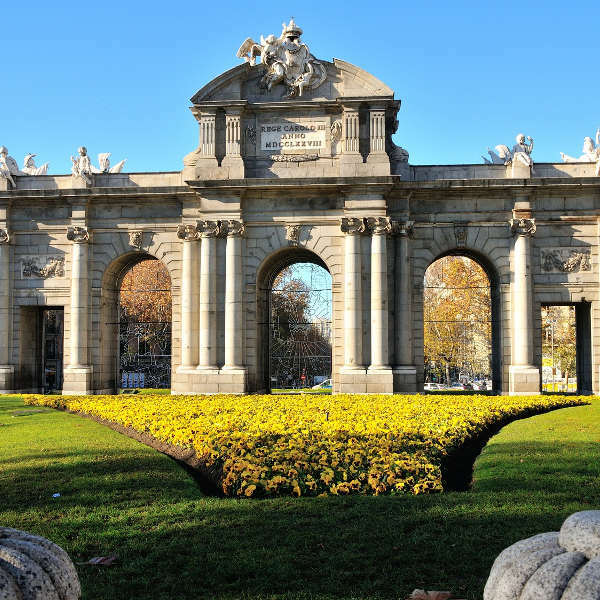 With its grand heritage of art, architecture and history, Madrid is a must-see for culture devotees. 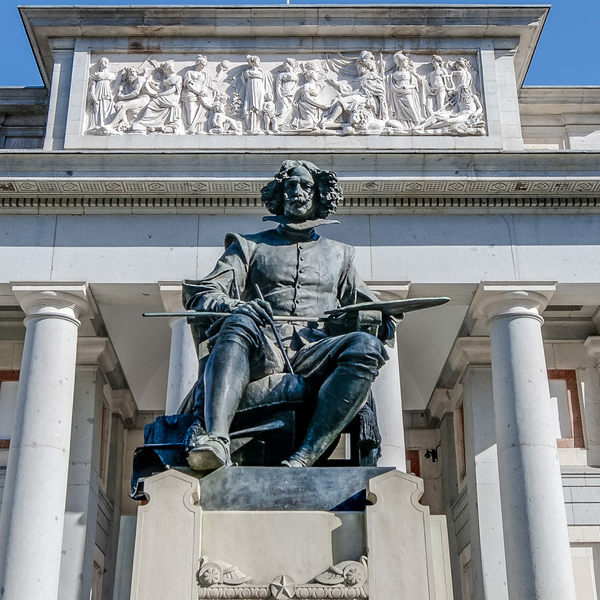 Its most famous art museum, the Prado Museum, features some of the best collections of European art, ranging from the 12th century to the early 20th century. Visitors wanting to avoid the lines and queues of museums also have plenty to see outside. 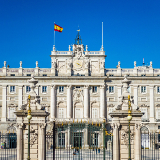 City landmarks, such as the Royal Palace of Madrid and Plaza Mayor, are compelling motivation to walk the streets and take in the sights. 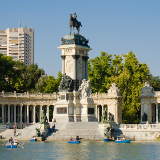 Be sure to take a leisurely stroll in Buen Retiro Park, an expansive public park filled with manicured lawns, stone statues and fountains. Football fans are in for a treat too. As the home of famous football teams, Real Madrid and Atletico Madrid, soccer fans can purchase tickets to watch their favourite teams play in their home city. Compare several airlines, and book your cheap flights to Madrid online at Travelstart. Madrid is a relatively safe city with a low crime rate however, due to the ever-increasing influx of tourists, petty crime has increased. Visitors are advised to be vigilant when walking with expensive equipment or accessories, and are encouraged not to leave their possessions unattended in shops and restaurants. While walking the streets during the day is encouraged, visitors are advised not to walk the streets late at night, in order to avoid getting lost or pickpocketed. Do not leave drinks unattended in bars and restaurants. Should you feel lost or unsafe, Spain’s national emergency number is 112. The emergency number for medical services is 061. Madrid has accommodation options to suit the tastes and budgets of every kind of visitor. For those wanting to be within walking distance of historical sights and landmarks, Sol and Gran Via are the answer. Those seeking a more hip, eclectic side of the city should look no further than Malasaña, Madrid’s most lively neighbourhood. Dive bars, coffee shops and artisanal clothing stores line the streets. La Latina neighbourhood is perfect for visitors seeking “old” Madrid. Visitors staying in this historic neighbourhood can experience life in the heart of the old city. Madrid’s public transport is excellent and there are a variety of transport options to choose from. The easiest and most expensive options for getting around would be by bus and the Madrid Metro, both of which have routes across the city. Getting around by taxi is another option however, rates are generally higher than that of other transport methods. Car hire is also an option in Madrid should you wish to take a drive at your own pace through the city’s bustling streets!